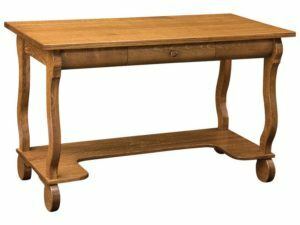 Here’s a collection of library tables from Brandenberry, any of which would make a welcome addition to your living room or home office. 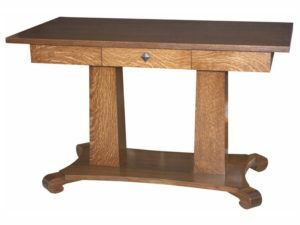 The tables are Amish custom-made of solid hardwoods. So they’re far superior to what you’d find in most big box and chain furniture stores. 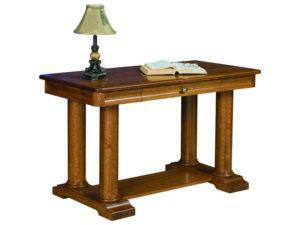 Handcrafted construction and solid, square legs hightlight the features on this simple, mission style library table. 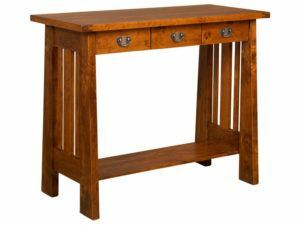 A stunning blend of antique styling with a modern twist, the Hampton Collection Library Table will enhance any home. 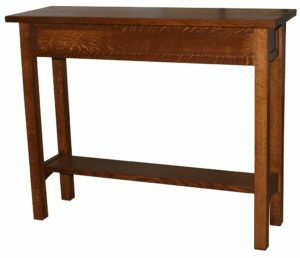 The Harvest Collection Library Table possesses a stately elegance. 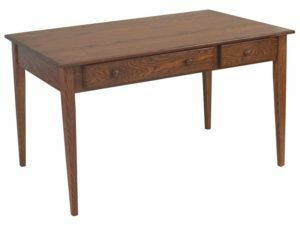 Beautifully crafted legs highlight the Madison Library Table. A simple design accents the Twin Tower Library Table. 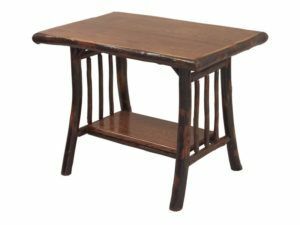 If you’re looking for a well-built library table, an antique library table or a vintage library table, you’ve come to the right place. Because Amish cabinetmakers custom-build each unit. 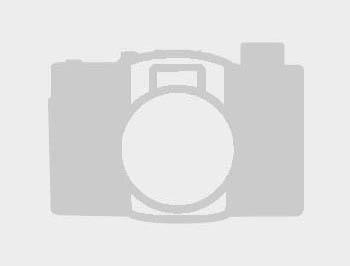 And they use solid hardwoods like maple, cherry, hickory and oak. 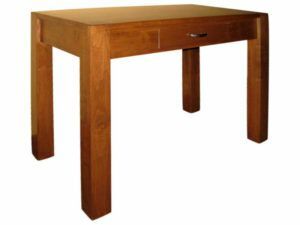 So each table is extremely sturdy, hard-working and durable. As you can see, you can choose from a variety of styles and designs. 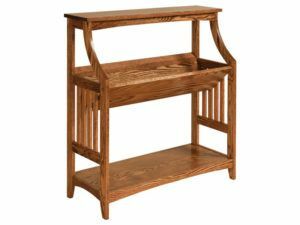 Everything from formal-looking pieces like the Twin Tower Library Table, to the unpretentious Chuck Mission Desk. And, of course, you can choose from several options in between. Don’t see exactly what you like? We can customize a library table to fit your needs and desires. And your choices include wood species, finish, hardware and special features. 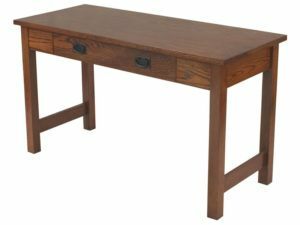 So whether you’re using the table as a display place for books, as a work station – or both – the table of your choice promises to be a valuable asset in your home for years to come.